Big Creek Trail is located in the North Carolina part of the Smoky Mountains, but it’s less than a a 30-minute drive from our rafting outpost! After your exciting adventure on the Pigeon River, head to Big Creek Trail for a hike. This trail is 4.2 miles roundtrip, and when you reach the halfway point, you’ll see Mouse Creek Falls. Mouse Creek Falls is a 45-foot waterfall that offers incredible views. When you hike the trail, you’ll also pass Midnight Hole, a deep pool that lies below a small 6-foot waterfall. Stop by midnight hole on your way back from Mouse Creek Falls to cool off from the summer heat! Laurel Falls is a little farther away from Smoky Mountain Outdoors, but it’s well worth the drive. This trail is a fairly easy hike that is great for families — it’s only 2.6 miles to the waterfall and back. The trail is paved, but is rough and uneven at some points, so be careful! The waterfall is 80 feet high with both an upper and lower section that’s divided by a walkway that crosses the stream at the base of the upper falls. It gets extremely busy during the summer months, so keep that in mind when you’re carving out time for your hiking adventure. Do you want to see the tallest waterfall in the Great Smoky Mountains National Park? Hike the Ramsey Cascades Trail! It’s a little bit more difficult of a hike at a distance of 8 miles roundtrip. The trail gains more than 2,000 feet in elevation over its 4-mile course to the waterfall, but you’ll be rewarded with a stunning sight. Water drops from roughly 100 feet over several tiers and collects in a small pool at the bottom where you can often find salamanders during the summer. The last 2 miles of the trail pass through a forest where you can see a variety of gorgeous wildflowers. Make sure to bring a camera on this picture-perfect hike. Porters Creek Trail is one of the best family-friendly trails for hiking in the Smokies. You’ll be able to see everything on this trail, from historic sites, to wildflowers and even a waterfall! After hiking for about 2 miles, you’ll be able to see Fern Branch Falls, a beautiful 40-foot waterfall. 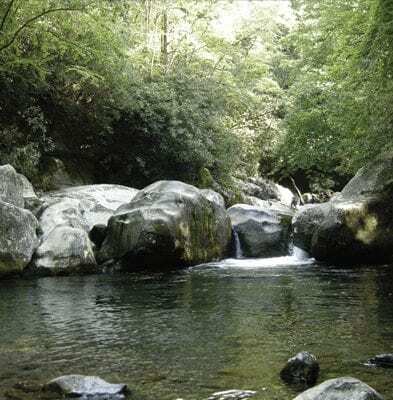 The first mile of the hike is gravel road that runs along the banks of Porters Creek, where you’ll have the chance to see rushing streams, a thick canopy of trees and important parts of Smoky Mountain history. is another popular waterfall hike in the Smokies during the summer! To get the to falls, you’ll follow Trillium Gap Trail through an old-growth hemlock forest. It’s a 2.6-mile round-trip hike to the waterfall and back. What’s so great about this hike is that the trail actually runs behind the 25-foot-high waterfall! It’s perfect for hiking in the summer because of the cool, moist environment around the falls. Kids love being up close to the waterfall and seeing all the salamanders near the falls! 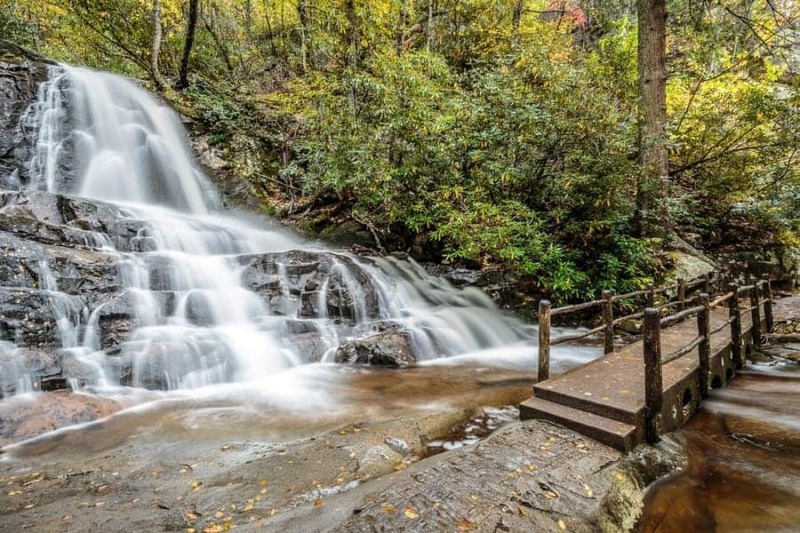 After going white water rafting in the Smoky Mountains, go for a hike on one of these popular trails for summer hiking in the Smokies! Browse all our rafting trips to start planning your summer adventure today.